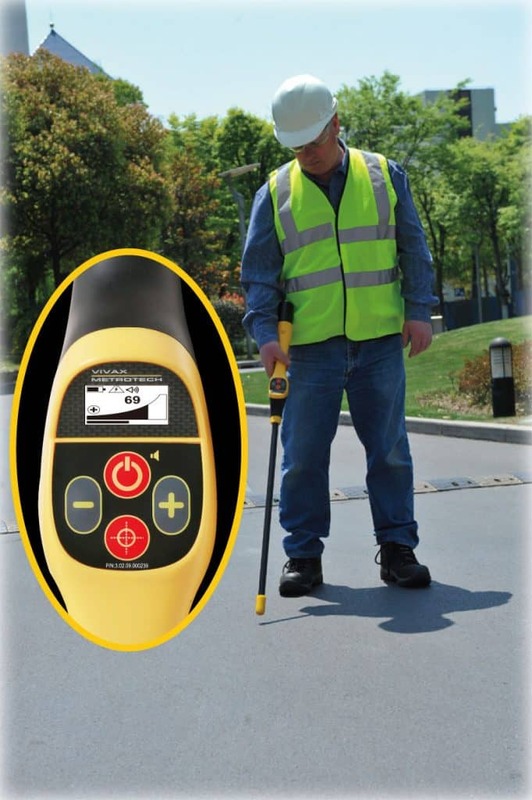 The VM-880 is designed to easily detect items that are often buried or paved over such as valve and manhole covers. 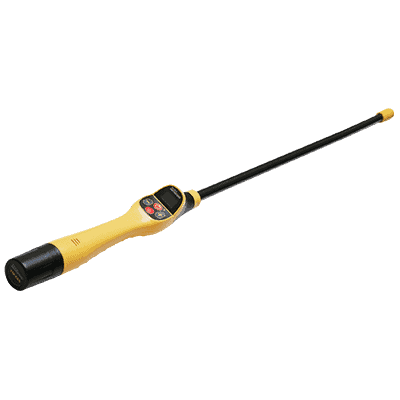 These ferrous materials can easily be found using the Metal Detector’s LCD dot matrix display with a simple interface. Since this detector will only find ferrous materials, aluminum cans, bottle caps, and similar items can be passed over without creating numerous false positive detections. The VM-880 produces simple audio and visual cues that require minimum training and allow for a fast learning curve. 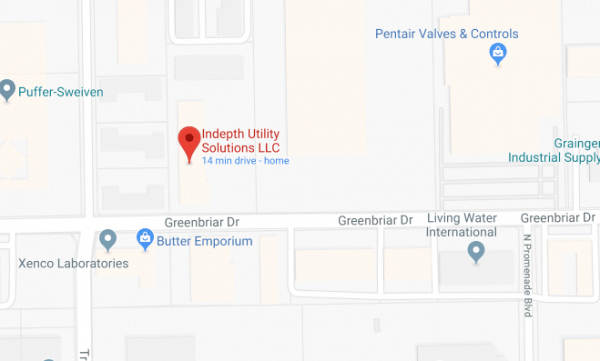 Field polarity, 60Hz warning, continuous battery level, signal strength indicators and one-touch sensitivity control are some of the features offered to make locating common items such as manhole covers, valves, and buried boundry markers easier and more precise. 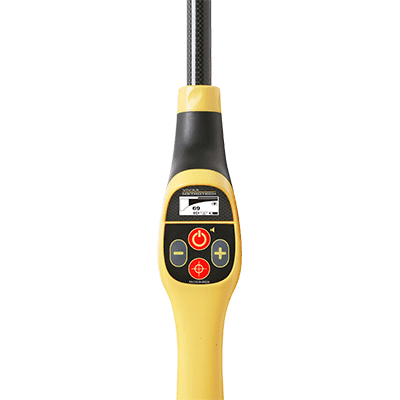 The VM-880 weighs in at only 1.54 pounds, making it the lightest metal detector in its class. 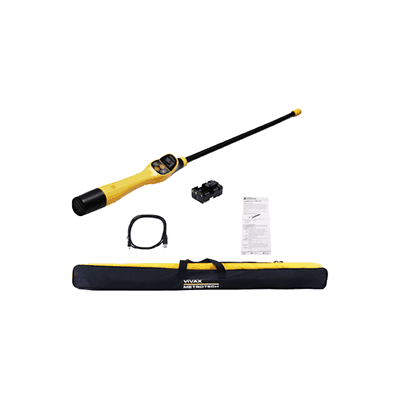 The submersible carbon fiber antenna tube is lightweight but durable.